Just like MN Walleyes !! As fresh and delicious as a fresh caught Minnesota walleye!! Extremely moist and they awesome. I have been going to Canada fishing for Walleye for 40 years. We always run out of the fish we bring home about this time of year. It was great to find Walleye direct---now we can have walleye all Winter long. The kids and grandkids love it. 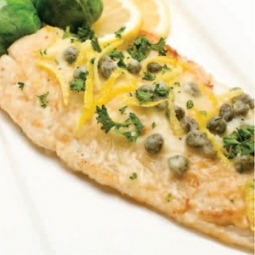 Walleye fillets from Walleye Direct always arrive in perfect, frozen condition. They keep well and are delicious! Delicious Walleye - our favorite northern fish! Our order arrived frozen with plenty of dry ice leftover. The fish was delicious (as always). Fresh walleye shipped to my front door. We are customers for life. The Walleye tasted like I just caught it in the lake today. Amazing! Sent a 5 lb box of walleye fillets to my sister for her birthday because we missed our annual trip to Minnesota. Her walleye arrived frozen and the fillets were unbelievable. She was beyond happy. Quick delivery, nice packaging, awesome tasting fish...I will for sure order again. Delicious fish. Delivery as promised! Second order good as the first! This was purchased for a friend who had never had a walleye before, but who is an avid fisherman and a conneiseur of fish and he stated that the filet his son had fixed for him when he came home from work he would rate 10 out of 10. Obviously he was more than pleased with his gift. Thank you for making this so special. Nice fillets,did a breaded recipe came out Great! Excellent product. My only suggestion would be vacuum sealing each filet to prevent freezer burn. Very fresh tasting. 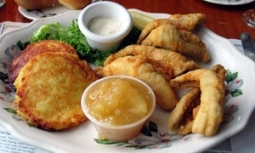 Ordered the 5 lbs box of skinless walleye fillets and a 4 lbs box of breaded perch fillets. ALL I CAN SAY IS THEY ARE GREAT. WE WILL ORDER MORE. Coming from MN, I grew up on walleye, have had great difficulty finding good quality frozen walleye. 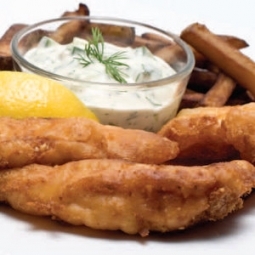 Look no further, this is outstanding quality, excellent tasting walleye! Good taste. A few too many bones.